Leo, Slytherin, chaotic neutral barreling toward chaotic good. JC is better known around recapping circles as ogwnostalgia, and decided to start recapping the books and movies she loved as an adolescent when she found a box of her old Point Horrors and Fear Streets in the basement one night and wondered what it would be like to reread them as an adult. Turns out, very few of them live up to her memory of them. Shocking, yeah? JC of Oh God Why?! 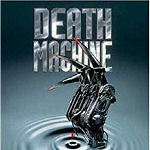 Nostalgia recaps Death Machine (1994), wherein Brad Dourif is the best thing in it. And there's a killer robot. And we're still not 100% on the lead character's tragic backstory. And now for something special! JC of Oh God Why?! 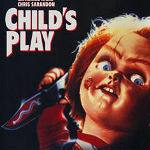 Nostalgia and Dove are recapping the entire Child's Play series together! Here JC recaps the first installment for your reading pleasure!